1) (St. John’s Wood, London). Quarterly, gu. and or, in the first and fourth quarters a cross potent of the last. Crest—A stork holding in his beak a cross formee. Motto—Cruce dum spero fido. 2) (Ireland). Same Arms. Crest—Two hands couped and conjoined in fesse, holding in pale a scimetar ppr. 3) (Darton, co. Armagh). Same Arms. Crest—A stork ppr. in its beak a cross potent fitchee ar. Motto—Certavi et vici. 4) (Mortfield, co. Lancaster). Same Arms, quartering Kay, ar. two bendlets sa. Crest—A stork ppr. holding in the beak a cross ar. Motto—In hoc vinces. 5) (Hull, co. York.). Gu. three crosses pattee ar. 6) Ar. five crosses crosslet in saltire gu. Crest—A griffin segreant per fesse gu. and sa. winged ar. tipped or. 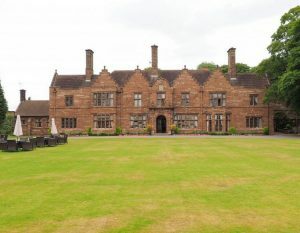 7) (Wrembury Hall, co. Chester). Quarterly, erm. and gu. in the first quarter a cross crosslet of the second, in the fourth a plummet sa. Crest—On a mount vert, a stork erm. beaked and membered gu. resting his dexter foot on a cross crosslet of the last, and holding in the beak a plummet sa. 8) Ar. an eagle, with wings endorsed sa. charged on the breast with a cross crosslet fitchee or, betw. four crosses crosslet fitchee of the second, one, two, and one. 9) (Eastbank and Ingliston, co. Renfrew). Ar. an ear of wheat ppr. betw. four cross crosslets fitchee sa. one, two, and one, a bordure per pale of the second and or. Crest—A griffin segreant sa. armed, beaked, and winged, or. Motto—Sub cruce copia. 10) (Red Scar and Cottam, co. Lancaster). Gu. on a cross fiory ar. five passion nails ea. a bordure of the second. Crest—A griffin’s head erased ar. gorged with a double chain or, therefrom pendent a mullet pierced sa. and holding in the beak a passion nail of the arms. Motto—Crede cruci. 11) (Eccle Riggs, co. Lancaster; Rt. Hon. Richard Assheton Cross. M.P., Secretary of State for the Home Department). Same Arms, &c., as his elder brother, Wm. 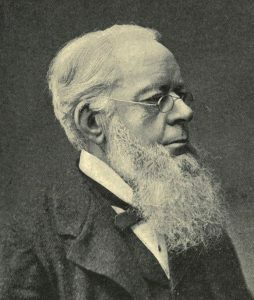 Assheton Caoss, Esq. of Red Scar. 12) (or Crosse) Gu. a chev. paly of six ar. and or, betw. three crosses crosslet of the second. 13) (or Crosse) Gu. a chev. betw. three crosses crosslet ar. The Anglo-Saxon Cross surname has three possible origins. First, and most likely, this last name is a locational surname given meaning “at the cross”, given to a person who dwelt near a wayside cross or wayside crucifix, which is a cross (a Christian symbol representing of depicting the Savior Jesus Christ) that was along side a track, road, or footpath along the side of a field or forest that was typically made of wood, stone, or metal. 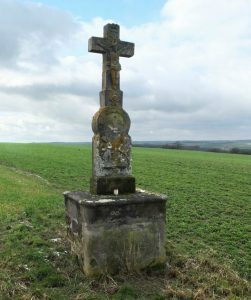 Such crosses were common in Christendom (particularly Ireland, Germany, Galicia, and the Alps) during medieval times and the Middle Ages. They were often constructed by locales as a means of conveying their faith, or commemorating an accident or crime that took places in the surrounding area. These crosses were often found in marketplaces. A second origin theory of the Cross surname is that it came to denote a person who carried a cross in processions of the church. Third, it may have been given to someone who lived near a crossroads. The name derives from the Old Norse word kross and the Old English word cruc, both meaning cross, which ultimately derives from the Latin word cruces or crux. One source asserts by the mid fourteenth century, an important branch of the Cross family became established in Lancashire and had estates, manors, and land at Crosse Hall near the city of Liverpool, and this branch eventually made its way in Ledsham in county Cheshire. Mark Antony Lower’s book Patronymica Britannica states the following: “The family of De la Croyz, De Cruce, Del Crosse, Crosse, as the name is variously spelt in ancient deeds, were seated at Wigan, co. Lancaster, in the reign of Edward I, and about the year 1350 AD were seated at Crosse Hall in Liverpool, and afterwards at Crosse Hall in Chorley“. Common spelling variants or names with similar etymologies include Crosse, Croice, Croise, del Crosse, de Cruce, Croice, de la Croys, Delacroix, Crossman, Crouch, McCrossen, Lacroix, and Crozier. The last name Cross ranks 382nd in popularity in terms in the United Status as of the 2000 Census. The name ranks particularly high in the following seven states: Vermont, Tennessee, Wyoming, Michigan, Arkansas, and Missouri. The surname Cross frequency/commonness ranks as follows in the British Isles: England (195th), Scotland (499th), Wales (217th), Ireland (989th) and Northern Ireland (779th). In England, it ranks highest in Cambridgeshire, Oxfordshire, and Dorset. In Scotland, it ranks highest in Inverness-shire. In Wales, it ranks highest in Denbighshire. In Ireland, it ranks highest in Kildare. The 1890 book Homes of Family Names by H.B. Guppy, states the following in regard to this surname: “Rare or absent in the northern counties, and in the south coast counties. Mostly confined to the east centre of England and to the adjacent coast counties between the Wash and the Thames”. The name is also present throughout the remainder English speaking world: Canada (570th), New Zealand (224th), Australia (219th), and South Africa (901st). The Hundred Rolls of 1273 AD, a census of Wales and England, known in Latin as Rotuli Hundredorum lists three bearers of this surname: Jordan ad Crucem in county Buckinghamshire, Humfrey de Cruce in county Oxfordshire, and Conan de Crucem in county Lincolnshire. The Assize Court Rolls of Lancashire list one Richard del Cross in 1285 AD. A Phillip Crossman is documented in the Subsidy Rolls of Somerset in 1327 AD. A one John atte Cross was documented in 1302 AD in the Writs of Parliament. The Poll Tax of Yorkshire in 1379 AD lists three bearers of this last name: Johannes del Crosse, Johanna del Crosse, and Andreas de la Croys. The Placita de Quo Warranto records one Roger del Cross in county Northumberland who lived in the 20th year of the reign of King Edward I of England (1272-1307). The History of Norfolk lists one John de la Croix in county Berkshire. Kirby’s Quest lists one Sampson atte Croice in county Somerset during the reign of King Edward III (1327-1377). The History of Norfolk lists one Thomas atte-cross, rector of Bexwell in county Norfolk. An early baptism involving this surname was John Crosse, son of Richard, at St. James Clerkenwell in 1585. The famous genealogist Bernard Burke’s book “The Landed Gentry” discusses five branches of this family: 1) Cross of Red Scar, 2) Cross of Eccle Riggs, 3) Cross of Dartan, and 4) Crosse of Shaw Hill. Burke’s other book, Peerage and Knights, discusses three branches: 1) Cross of Barton and Goosenargh, 2) Cross of Bolton-le-Moors, and 3) Cross of Scatwell. William Assheton Cross, Esquire of Red Scar and Cottam in county Lancaster was Justice of the Peace and Deputy Lieutenant born in 1818. He was Colonel in the 1st R.K. Militia as well. He succeeded his father in 1827 and in 1846, he married Katherine Matilda, daughter of Charles Winn of Nostell Priory, and had issue with her: William (1850), Charles Henry (1852), Katherine Ellen, Harriet Esther (married Lieutenant Lee Percy Pennethorne), Margaret Lucy, Ellen Priscilla, Cecily Sohpia, and Diana Beatrice Annie. Burke traces the lineage of genealogy of this family back to a family in Barton and Goodnargh near Preston. John Cross, nephew of Richard Cross, was the founder of Bilsboro’ School in 1710. The current branch springs from Henry Cross, of Barton, Inn Burgess of Preston at the Guilds of 1702 and 1722. In 1691, he married Joan, daughter of Henry Hall of Woodplumpten, and had issue with him including a son named William. William was born in 1702 and he married Ellen, daughter of George Beesley of Ingelhead, who had issue with her: Henry (whose descendants own Myerscough House), George, John, and William. His son John Cross was Esquire of Preston and Cottam was born in 1742 and was Deputy Prothonotary. He married Dorothea, daughter of Richard Assheton and had one son with her: William. This William was Esquire of Red Star and Cottam was born in 1771. He was Justice of the Peace and Deputy Lieutenant in county Lancaster. 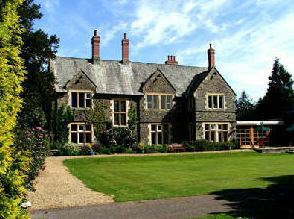 In 1813, he married Ellen, daughter and co-heir of Edward Chaffers, and had issue with her named: William Assheton, John Edward (Justice of the Peace, Vicar of Appleby, married Elizabeth Hornby), Richard Assheton, Henry Assheton, Ellen Dorthea (married Reverend W. Hornby), and Ann Harriet. The Cross Family Crest was blazoned as follows: Gules, a cross flory argent, charged with five passion nails sable a bordure of the second. Crest: A griffin’s head erased argent with a double chain gold, therefrom a pendent a mullet pierced sable, in the beak a passion nail also sable. The Right Honorable Richard Assheton Cross of Eccle Riggs, county Lancaster was Justice of the Peace and Deputy Lieutenant for that county and for Cheshire, as well as a Member of Parliament. He was born in 1823, and in 1852, he married Georgiana, daughter of Thomas Lyon, Esq. of Appleton Hall, and had seven children with her: Thomas Richard, William Henry, John Edward, Charles Francis, Georgina Harriet, Mary Dorothea, and Ann Margaret. The family bore the same heraldic arms as the branch of Red Scar. William Cross was Esquire of Dartan in county Armagh who was Justice of the Peace, Deputy Lieutenant, and High Sheriff who was born in 1815. In 1844, he married Frances Jane, daughter of Major General Cole, and had the following children with her: Maxwell (1845), William Pennell (1849), Sarah Jane Beauchamp. He was Captain and Adjutant of the 68th Light Infantry. Burke traces the Cross genealogy back to a family who emigrated to Ireland from county Lancaster at the time of the plantation of Ulster in 1611, and settled in the parish of Tynan in Armagh. A one James Cross died in the town in the 1680s and he had issue, including John and William, who were defenders of Derry, and he signed the address to King William III and Queen Mary. John Cross had the following issue with his wife Jane: Richard, James, William, John, Maxwell, Margaret, Eleanor, and Ann (married Lieutenant James Graham). His eldest son was Richard who succeeded his father in 1776, married Margaret, and had six children with her: John, William, Ann, Margaret (married William Harpur), Grace (married Francis Bryant), and Frances. His second son and successor was William Cross, Esquire of Dartan who, in 1743, married Mary Stratford. They had the following children together: Richard, William Irwin, John, Maxwell, and Mary (married James Burroughs). He was Deputy-Governor of Armagh. He was succeeded by his third son John. John was born in 1787 and was an officer in the army who served in the Peninsular War in the 52nd Light Infantry. He also was in campaigns other places such as Sweden, Portugal, and Jamaica, and he fought at the Battle of Waterloo. He was succeeded by his brother Maxwell who was Deputy Lieutenant, Justice of the Peace, and High Sheriff in 1847. He married Sarah, daughter of William Hardy, and had the following children with her: Colonel William Cross. Thomas Bright Crosse was Esquire of Shaw Hill in county Lancaster and he was Justice of the Peace, Deputy Lieutenant, and High Sheriff in 1837, as well as Member of Parliament for Wigan. In 1828, he married Anne Mary Crosse, daughter of Richard Crosse of Shaw Hill. They had the following children: Thomas Richard, Charles Kenrick, John Legh, Henry Townley, Hugh Banastre, Robert Legh, Arthur Thurstan, Harriet Anne, Anne Mary, and Caroline Susan (married Oswald Baron). His patronymic was Ikin and he assumed the name Crosse and the arms in 1828. The arms are blazoned as follows: Quaterly, gules and or, in 1st and 4th a cross potent argent, and for difference a canton ermine impaling the same arms without the canton, with the crest being a follows: on a wreath of the colours a stork proper in its beak a cross potent fitchee argent, and for the difference charged with an escallop shell. The Viscount Cross, Assheton Henry Cross, of Broughton-in-Furness, county Lancaster, was Lieutenant Scots Guards, served in World War II, who was born in 1920 and succeeded his father in 1932 as the 3rd Viscount. The Cross genealogy or Cross ancestry is traced back to a family long settled at Barton and Goosenargh, near Preston in county Lancashire. Burke continues to provided an extensive pedigree of the Cross family. The Cross Family Crest is blazoned as follows in heraldry: Gules, a cross flory argent charged with five passion nails sable a bordure of the second. Crest: A griffin’s head erased argent gorged with a double chain gold, therefrom a pendant a mullet pierced sable in the beak a passion nail also sable. Supporters: On either side a Pegasus argent, holding in the mouth a passion nail sable; the dexter sinister gorged with a double chair or, therefrom pendant a mullet pierced sable. Motto: Crede Cruci. 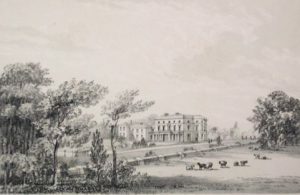 John Cross of Gartside House in Bolton-le-Moors in county Lancashire married Hannah, daughter of Richard Kynaston, and had issue with her: J.K. Cross who was a Member of Parliament and Edward Cross of Bradford House (married Hannah Ellen Carlton). The Right Honorable Sir Ronald Hibbert Cross was created 1st Baronet in 1940. He was born in 1896 and in 1925, he married Louise Marion, daughter of Walker Emmot, and had four children with her: Angela Louise Vereker (1925), Diana Marion Hibbert (1927), Susanna Carolyn (1938), and Karina Mary (1942). He was a merchant banker and served in World War I. He was Member of Parliament for Rossendale for 1931-1945. He held numerous other positions. The Cross Coat of Arms has the following heraldic blazon: Or, a cross moline vert charged with three fleur-de-lis in fesse of the field, a chief of the second, thereon a saltire argent, between the two fleur-de-lis of the first. Crest: In front of a dragon’s head couped gules, langued gold collared argent, three fleur-de-lis fessewise or. Motto: Ex cruce flores. The Cross Family Crest is blazoned as follows: Per chevron argent and gules two cross crosslets fitchee in chief sable and a garb in base or. Crest: A griffin sergeant sable armed langued and winged argent. Motto: Sub cruce copia. John Crosse of Dover was born in Suffolk, around 1580. He had a son named John. His son John Cross of Wells was born around 1610 in Suffolk, England and he married Ann and went to Maine, United States. Thomas Crosse, age 22, came to Virginia aboard the Abigaile in 1620. John Crosse, age 50, and his wife Anne, came to New England aboard the Elizabeth in April 1634. Henry Crosse, age 20, a carpenter, came to New England aboard the Increase in April 1635. James Cross, age 27, came to Virginia aboard the Thomas & John in June 1635. William Crosse and John Crosse were both convicted rebels (Monmouth’s Rebellion of 1685) who were sent to the New World. Jonas Crosse of Cullington was also a convicted rebel sent to Barbados. 1) Henry Cross (mentioned above already) had a second wife named Mary, with whom he had a daughter named Mary (born in 1641). He died in 1640. 2) John Cross (mentioned above) who came in 1634 and had a daughter named Ann in 1639. He moved to Hampton and became a freeman in 1639. He became a representative in 1638. 11) Richard Cross of Salem, MA, who married Jane Pudeater in 1670, and had issue Elizabeth and John. 14) Stephen Cross of Boston, who married Mary, widow of Robert Lawrence and John Phillips of Dorchester, in 1690. Later settlers in colonial America bearing this last name include Nicholas Cross (Virginia 1643), Jane Cross (Virginia 1649), Charles Cross (Virginia 1705), Francis Cross (Virginia 1711), Richard Cross (Virginia 1739), Ellioner Cross (Virginia 1743), and William Cross (Georgia 1743). A one William Cross, a farmer, was born in London in 1600. He married Alice Simpson. He went to the United States and died in Connecticut. He had a son named Peter who was born in 1632 in New London, CT. He had two issue: Peter and Mary. One of the earliest bearers in Canada was Charles Cross who came to the province Nova Scotia in 1749. In Australia, one of the earliest bearers was John Cross, a convict from Cambridge, England who came to New South Wales (used as a penal colony, discovered by Captain James Cook) aboard the Asia in October of 1824. In New Zealand, John and George Cross, farm laborers, came to the city of Wellington (located on the southern tip of the North Island) in 1840 aboard the Bolton. Matthew’s American Armoury and Blue Book lists one bearer: Arthur Dudley Cross. He was born in Sacramento, California in December 1864. He graduated from the University of California in 1887 with a Bachelor’s of Science. In 1893, he married Elsie Chapline, daughter of Thomas Bailey and Josephine I. Chapline Pheby of Oakland, CA. He had two issue: Arthur and Elsie Hilton. His coat of arms was blazoned as follows in heraldry: Sable, a fesse between three mullets argent pierced gules, with a crest that is a tower argent from the top flames of fire issuing. 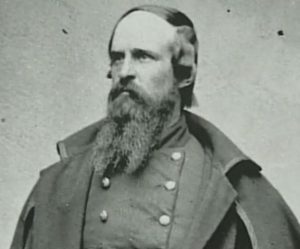 He was the son of William Berry Cross (1826-1891) of San Francisco and Mary A. Hilton. He descended from John Cross of Metheun, MA, who came from Ipswich, England aboard the Elizabeth in 1639. 2) Sir Robert Cross, Knight, son of William of Charlinch, Somerset, for services against the Spanish Armada, at the burning of the Spanish fleet at Cadiz, and for the winning of Cales 1596, crest April 1602 by Camden. There are hundreds of notable people with the Cross surname. This page will mention a handful. Famous people with this last name include: 1) Christopher Cross (1951), born Christopher Charles Geppert is an American singer-songwriter from San Antonio, Texas known for a variety of songs such as his no. 1 1980 hit Sailing, 2) Burton Melvin Cross (1902-1988) who was twice Governor of Maine, 3) Dorothy Cross (1956) who is an Irish artist from Cork, 4) Edward Ephraim Cross (1832-1863) who was an officer in the Union Army during the Civil War who was born in Lancaster, New Hampshire, 5) Henri Edmond Cross or Delacroix (1856-1910) was a French paint who shaped the Neo-Impressionist movement, 6) Zora Bernice May Cross (1890-1964) who was an Australian poet and novelist from Eagle Farm, Queensland, 7) Major General Timothy Cross (1951) who was a British Army who specialized in logistics and served in the both Golf Wars, the Kosovo War, and The Troubles (conflict in Northern Ireland in the second half of the 20th century), 8) Terry M. Cross (1947) who was the United States Coast Guard Vice Admiral who served in that branch of the military from 1970-2006, and 9) Milton John Cross (1897-1975) who was an American radio announcer best known as the voice of the Metropolitan Opera. The most prominent symbols in the Cross Coat of Arms (erroneously called the Cross Family Crest) is of course the cross. No other symbol appearing in heraldry is subject to as much variation as the cross. Medieval Europe was a deeply religious and Christian and many of the nobility wanted to show their devotion by adopting the symbol of the cross as part of the arms. Since no two arms could be identical there arose many variants of the cross, typically involving patterning along the edges, or fanciful, decorative endings to the arms of the cross. The cross potent has square cross pieces at the very ends of its four equal length arms.The cross pattee is typical of these, pattee meaning “spreading”, and so the ends of the arms of the cross curve gently outwards to rather pleasing effect. The cross crosslet is one of these, being symmetrical both vertically and horizontally and having an additional cross bar on each arm. Wade suggests that these additional crossing signify “the fourfold mystery of the Cross”.